Animals that come into the custody of Hearts of Horse Haven will be placed here if or when they become available for adoption. We are always looking for foster homes to help with their care until adopted. We always welcome supporters who would like to help by sponsoring a specific horse in our care. 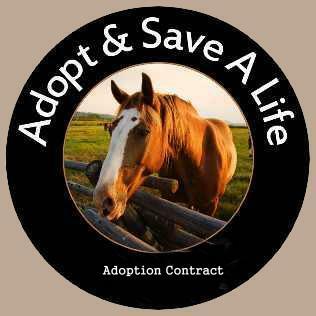 Once the horse is adopted sponsors are notified so they can either cancel their sponsorship or place it on another horse in need. Because of the different levels a horse may have more than one sponsor. Sometimes owners with good intentions fall on hard times or their life situations change and they find themselves needing to re-home their horse/s. We will post them here to try and assist them with this task. HoHH doesn't know anything about these animals and we suggest you make sure they are up to date on a negative Coggins test in the past 12 months. This is required by TN law of any equine transferring ownership. If you have an animal you'd like us to post please send us an email with their information and a picture. All we ask is that you contact us once they are placed so we can keep this page updated. We encourage other rescues across the state to send us information on their harder to place animals to help with their placement process.